I must admit that though these little colorful, squishy buggers hold a lot of memories and nostalgia, the idea of pounding some back kind of grosses me out these days. 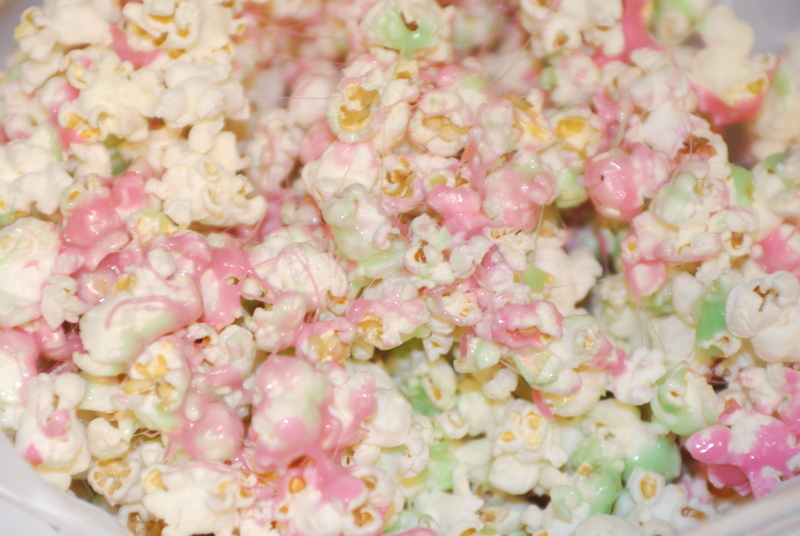 However, I am still a HUGE fan of Rice Krispies Treats, and Peeps are essentially just colorful marshmellows. 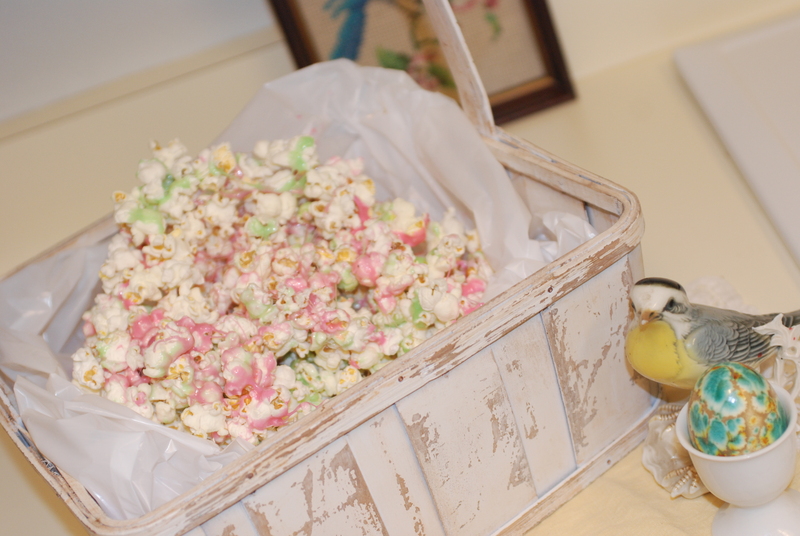 1+1= colorful Peeps popcorn with a Rice Krispies Treat flare! 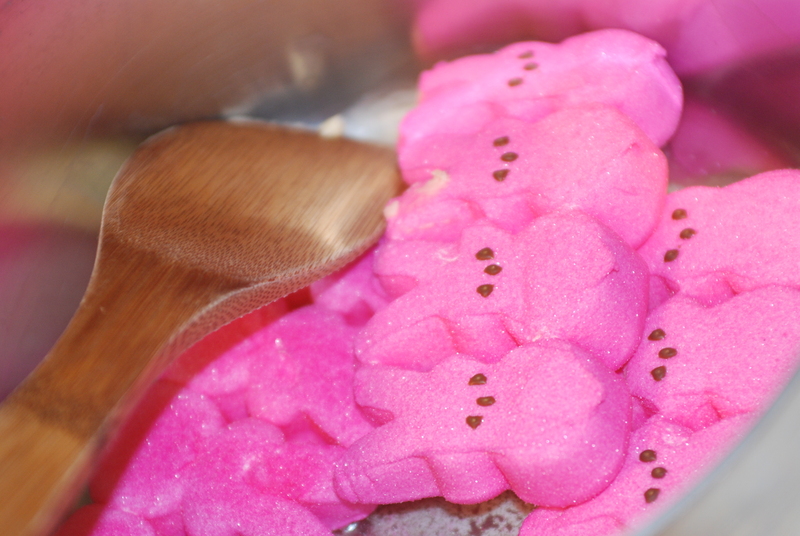 After you pop the popcorn, get ready to melt a package of Peeps (or these $1 store bunnies). 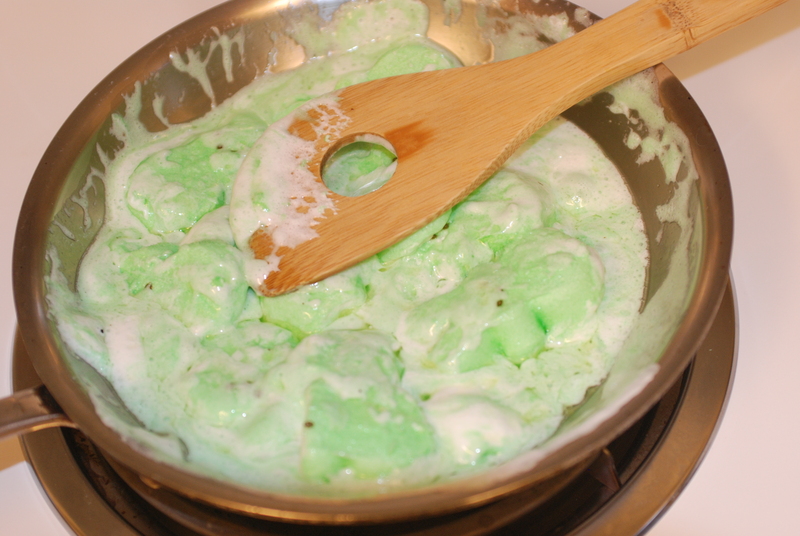 Make sure to melt a tablespoon of butter with each package, and stir. While you’re at it, why not go all confetti-happy for Easter by bustin’ out a rainbow of colors?? 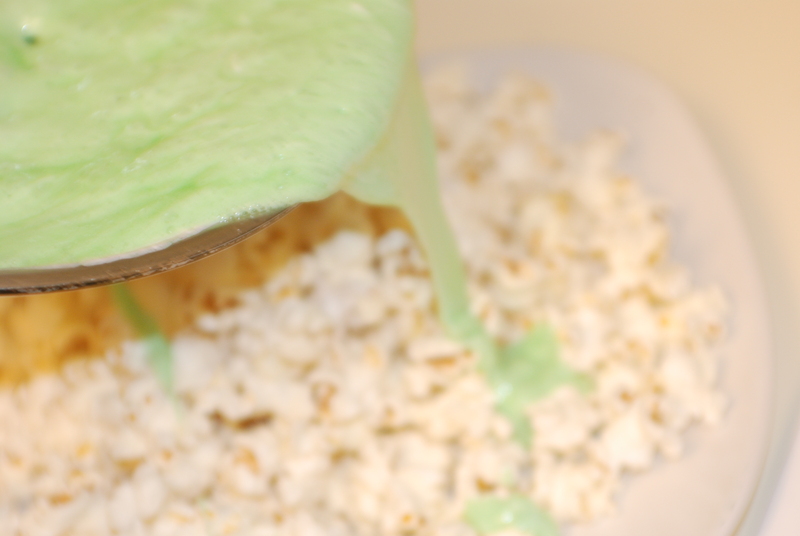 When the bunnies, or Peeps are melted, pour them over your popcorn. Repeat with other colors and give it a gentle stir. It’s best to let this yummy concoction cool before you try to scarf it down….or you will have the gooiest, stickiest hands ever! But, the kids didn’t seem to mind diving in right away. 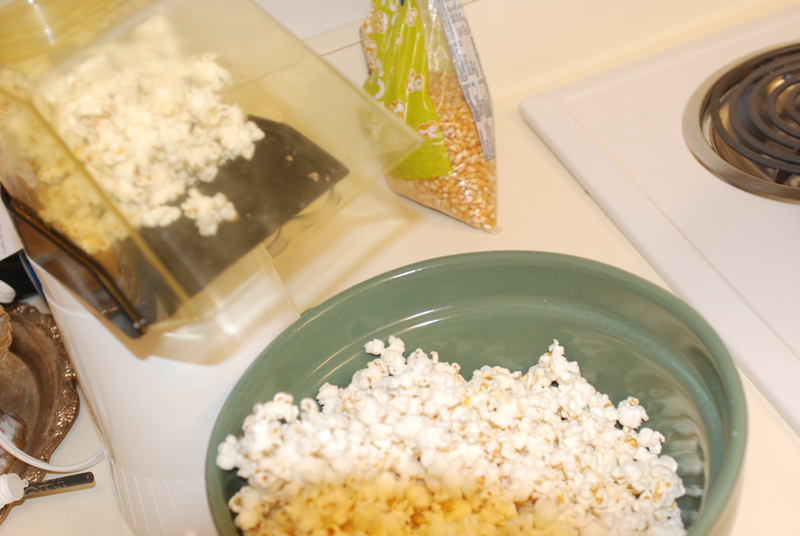 This is totally a carefree, child-like tasty treat! 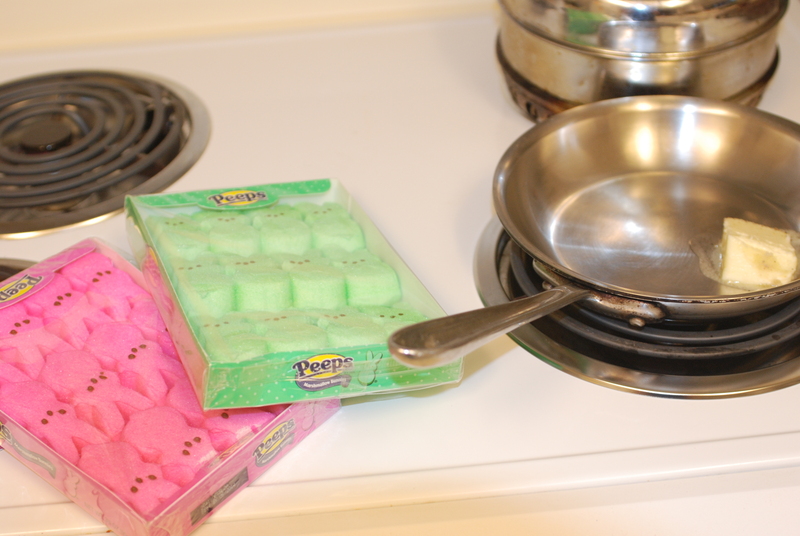 Happy Easter crafting and cooking!